Thank-you Rhonda Curry for providing a wonderful home for Treasure! Treasure is out of the Carmel LItter, LoverBoy x Seraph. 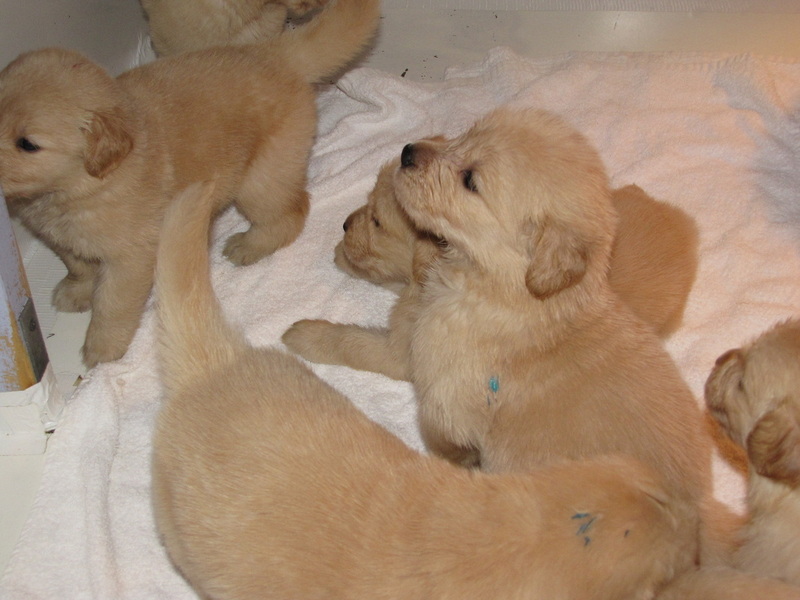 We have loved watching this litter grow and have such wonderful homes. 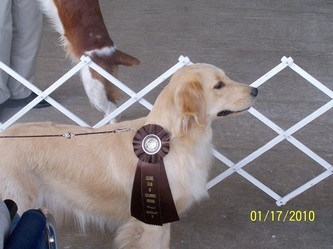 Treasure's brother, Legend, has received 8 CHAMPION points and now is working as a Therapy Dog. 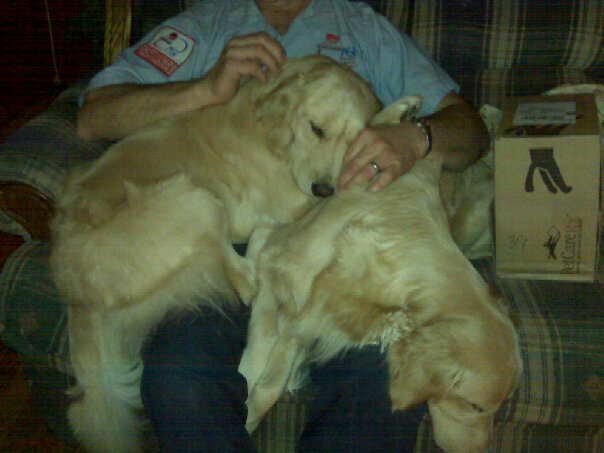 Sweetie, her sister, received a Best of Breed over Top Ten Goldens as a year old youngster and her received 9 RWB. She accidently knocked out her two front teeth, so her show career ended and she is the mother of 9 beautiful babies out of the DREAM Litter. Treasure has a "golden temperament" with a solid topline, short loin, strong rear, good conversion in her movement, dark pigment, and a lovely, correct light golden coat with no allergies. Treasure is the smallest of all the pups in the litter, but she is within standard. She weighs 58 pounds and is 20 inches tall. 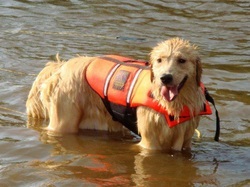 Treasure was in training as a service dog, but her size did not allow for the work that she needed to do. The owner chose a great dane instead, to help her. She is a LoverBoy daughter and grand daughter of "Hobo," and out of healthy Laurell pedigree on her mother's side.